Finding Ways to Balance Work & Life; Balance & Harmony 360², Inc.
Balance and Harmony 360² Inc. is a unique firm with a refreshingly holistic approach to improving work performance at all levels. 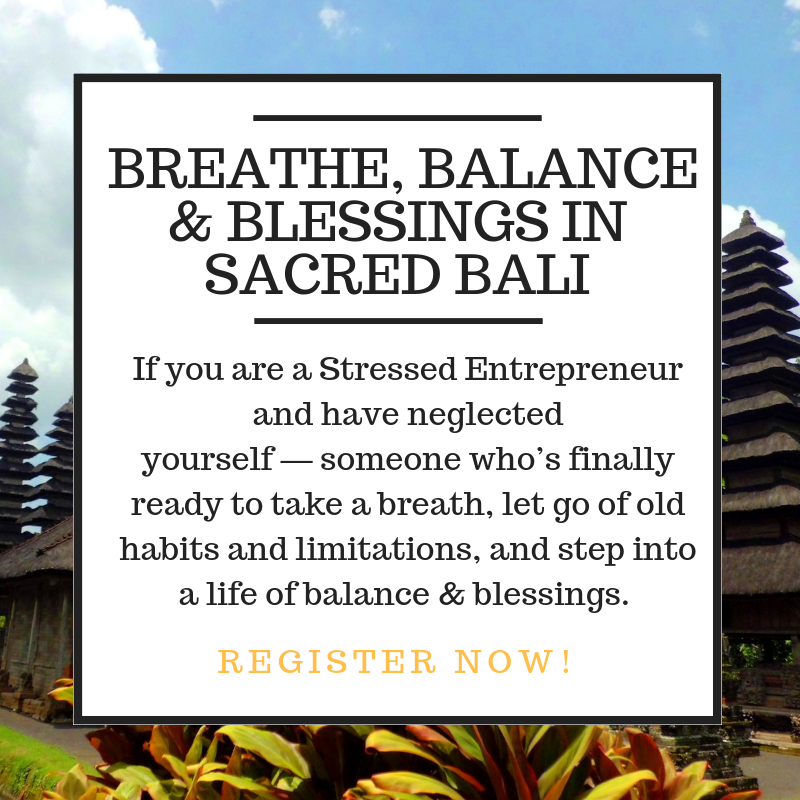 We believe to be fully productive and stress-free, each of our life components needs to be in harmony. Think of harmony as an orderly arrangement of the parts of our lives that creates a whole pleasing to us. Like some businesses, Balance and Harmony 360² sprang from seeds of vision planted over time in the heart and mind of the company’s founder, Melinda Smith. Her transformation started at an early age when she began to learn to embrace change and adapt in the face of a chaotic event. A catastrophic accident left Melinda’s father burned over 75% of his body when she was five years old. Being told his prospects for survival were grim at best, Melinda and her family embraced the change they faced. And with his survival, the family began a transformational journey where they learned to restore balance and harmony to their lives and create a new normal. Like most entrepreneurs, Melinda is an avid reader. From one of her favorite books – When God Winks by Squire Rushnell – she learned of the power of coincidence. Everything happens in your life for a reason. The people and experiences we encounter today, plant seeds that prepare us for tomorrow. 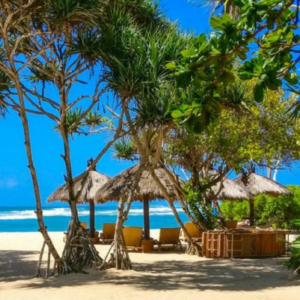 Melinda went home dreaming “what if” and within months the dream began to become a reality as she started working her business plan part-time. When she learned Katie had stage 4 cancer, the crushing experience laid the seed for the final step. In March 2004, Katie passed away, and upon returning from putting her to rest, Melinda was ready. She decided to quit her full-time teaching position to turn her part-time consulting and teaching business into a life-long career, and she has never looked back. With the Dream providing her North Star, Melinda set about creating a Plan to make it happen. is to provide interactive 360² solutions and experiences for positive growth and sustainable change. It’s ultimately about happiness. When people are happy, BIG things happen. Join us for our 360² Global Movement and Be Happy! Love Going to Work Again! Increase Time with Your Family! 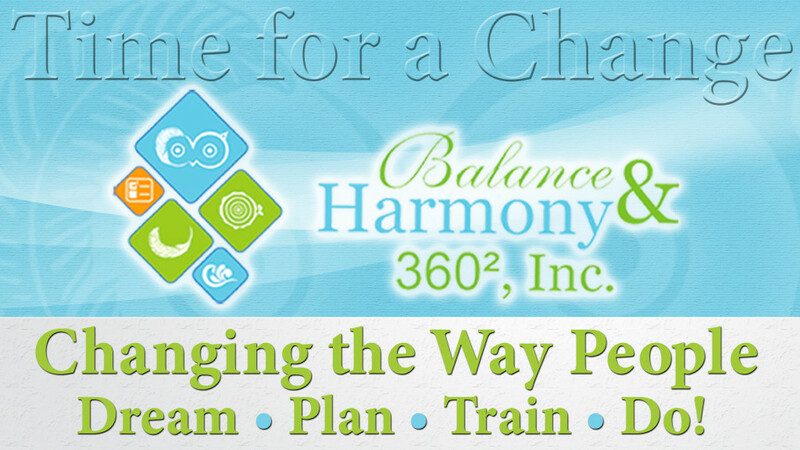 in the Balance and Harmony 360² logo is a symbolic representation of the ability to see what most people miss. Dating back to the time of the ancient Greeks, the owl symbolizes a deep connection with wisdom and intuitive knowledge through the animal’s ability to see what others do not understand and often do not want to see. We chose the owl as a reminder of the need to look beyond appearances into the actual reality of a situation. We all know in our hearts, appearances can be deceiving. Seeing things as they are, instead of as we would like them to be, serves as a foundation for a personal and business transformation. represents the DREAM we all want. A new beginning; A new life. One filled with trust, honor, strength, wisdom, power, and freedom. serves to remind us that without a solid PLAN, the dream often never happens. represents the many layers of change; A 360² approach to TRAIN whether it be one-on-one or in a group setting. symbol serves to remind us that one must DO. Without it, the dreaming, planning, and training serve no purpose.